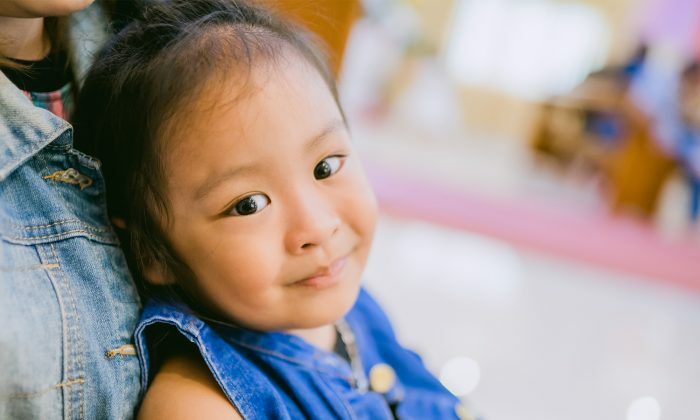 At 6 months old, baby Maria was placed in Chosen Children Village, an orphanage in Silang, Philippines. She was perfect and beautiful just like any other child, except that she was born without limbs. With a fortunate stroke of serendipity, Adrianne and Jason Stewert, from West Jordan, Utah, came across a picture of Maria while they were looking through a list of children who were awaiting adoption in October 2014. The caregiver at the orphanage was sobbing quietly when she saw this heartwarming moment of Maria finally meeting her new family. They brought her to their humble abode in Utah, and everything went smoothly, although it took a while for Maria to settle into her new home. As time went by, Maria got along well with her siblings, especially with Joshua. In Joshua’s eyes, Maria isn’t different from them; she’s just their little sister. After Maria’s first year in her new home, Adrianne posted a video sharing their experience, “Special needs adoption has changed our family forever,” hoping that their story would inspire others to adopt children with special needs. At the age of 3, Maria attended preschool and received regular physical, speech, and occupational therapy sessions once a month. Besides playing with her stuffed animals, she had a particular liking for 80s music! She fed herself with a self-feeder, played with a computer tablet, and loved coloring using a customized mouthpiece specially designed by a dentist. She has even tried horseback riding with Dad! Maria could even control her customized wheelchair given to her from Shriner’s Hospital using her arm nub with ease. After feeling a sense of fulfillment with Maria around, the Stewerts received devastating news in April 2017: Their adopted boy, Joshua, was diagnosed with acute myeloid leukemia, with a 65 percent chance of survival. Maria visited Joshua in the hospital frequently. “She practices using her wheelchair in the hallway of the hospital. We’re all in this together,” said Adrianne. Despite the distress, the Stewert family remained positive, braving this tribulation together. After the storm comes the calm. In June 2018, the Stewert family shared a piece of good news online. “My wife took Josh to his regular checkup today, and we are so comforted that his results came back as still being cancer free. We are past the six month mark, and getting close to the one year mark and looking forward to it greatly,” they wrote. We’re so happy for Joshua! May he and Maria achieve success on their every step. And wishing the Stewert family loads with happiness on the road ahead!